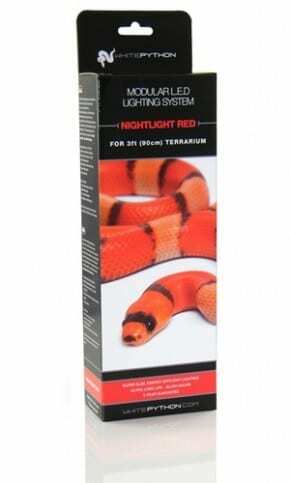 The WhitePython™ Nightlight Red LED Lights provide a warm, atmospheric red glow for night time viewing of your reptile. With it’s slim and compact design the Nightlight Red lights can be on during the night without the garish view typically given by normal red incandescent bulbs. We recommend using the WhitePython™ Daylight White light system for day time lighting. Utilizing minimum energy, these innovative and modular lights provide a warm red spectrum. This light is visible to reptiles, but does not affect their normal nocturnal activities due to it’s dim, dark colour. Also available is the Moonlight Blue LED Lighting system if you would prefer a brighter moon light affect. Unlike other lighting systems, the LED modular systems can be installed in a matter of seconds. 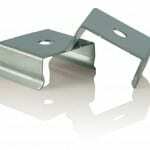 With it’s simple magnetic tape fixing, you can position the lights in the desired area without the need for any screws or fixings. What’s more, with it’s innovative auxillary fittings, there is no need for unwiring plugs to poke the leads through the back of the terrarium. To see how simple this system really is, watch the installation video by clicking here. Also available in Daylight White and Moonlight Blue.